Brazil and Indonesia share many traits. Brazilian Ambassador Paulo Soares believes Brazil and Indonesia can help each other to develop and trade. 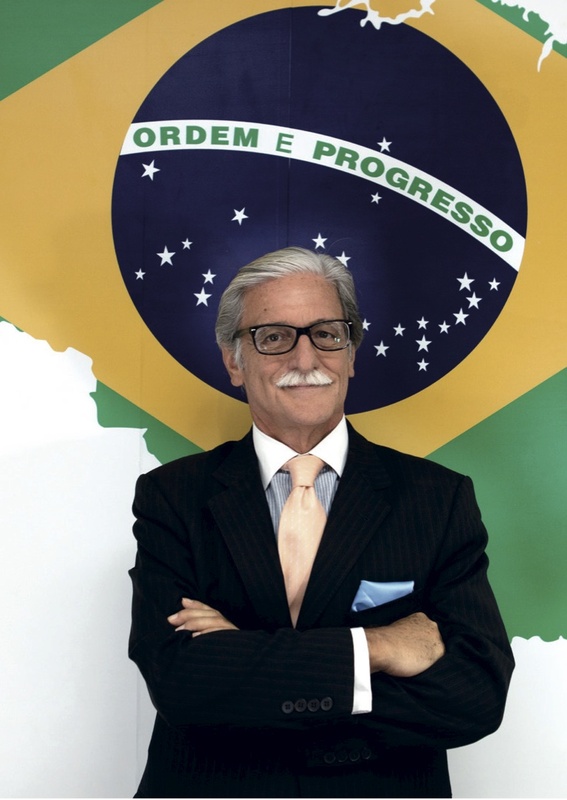 Paulo Alberto da Silveira Soares became the Brazil ambassador to Indonesia in July last year, after serving a similar post in Singapore. He is also designatedas ambassador to ASEAN. In many forums, he has reiterated how similar Brazil and Indonesia are in many areas. Both are emerging countries, the world’s number one and third coffee producer, are homes to the biggest and the second biggest forest areas in the world, both used to be a debtor and are now creditors to the IMF—and both places are crazy about football. He believes the two countries should intensify their relationship, not only in trade but also in areas such as technology, food security, energy and environmental protection. He feels the two countries could gain mutual benefits from expanding their relationship. 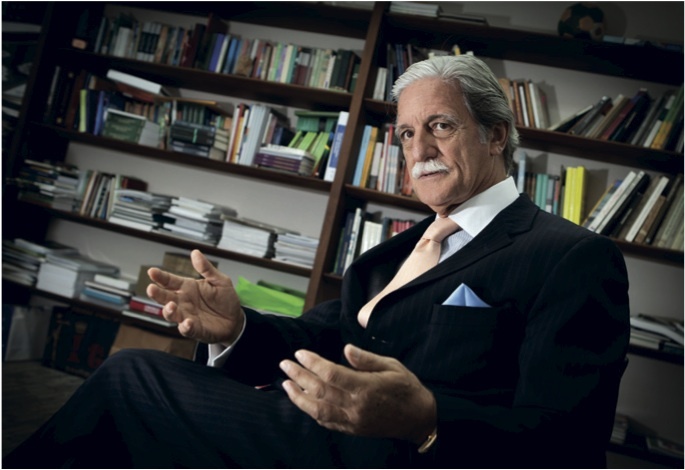 Soares, 64, talked to Forbes Indonesia in the Brazilian Embassy, which is decorated with stunning photographs of his home country. FORBES INDONESIA: Indonesia and Brazil have many similarities that can be shared for mutual benefit, what is your vision of this relationship? PAULO SOARES: To start with, both public and private sectors are focusing on Indonesia as a very relevant emerging economy with many resources, as is Brazil. In 2008, the two countries, represented by President Susilo Bambang Yudhoyono and former President Luiz Inácio Lula da Silva, signed a strategic partnership. The next year both signed an action plan that covers the Brazil and Indonesia relationship, which is more trade, more mutual investments both ways, and looks to increase the balance of trade between the two countries. In our country, the partnership has been translated it into an instrument not only for government [relations] but also for engagement of the private sector. We hope that both countries could work on more science and technology exchanges, and to cooperate in agribusiness, food security, energy security and environment security. FI: How is the implementation of the agreement so far? Paulo Soares // Photos by Ahmad Zamroni. PS: So far, agriculture is the only sector that already implemented this action plan by establishing a consultative committee on agriculture. The committee will conduct annual meetings, with the latest held in Medan. Next year the meeting will be held in Brazil. Agriculture cooperation is closely related to food security, and includes cattle and poultry breeding. Don’t forget that Brazil is the world’s number one producer and exporter of beef. The same applies to the poultry industry and many commodities such as sugar, soya beans and coffee. All these commodities are huge businesses, and we have developed sophisticated, state of the art technology. In that regard, we can share cattle embryo technology with Indonesia to improve the quality of the cattle stocks. It can help Indonesia raise the level of protein consumed. Brazil today consumes 40 kilograms of beef per capita. People are well fed, while Indonesia per-capita consumption is barely two kg per capita. How you’re going to reach a food self-sufficiency target in 2014 if you’re consuming just two kg of beef? For sugar, our exports to Indonesia are the biggest among our agricultural products, and last year reached $1.1 billion. The total agricultural product export to this country is $3.8 billion, which includes products such as cotton, tobacco, raw hides and leather. We farm sugarcane not only for human consumption, but also as a source of biofuel and ethanol. For 30 years Brazil has been developing the technology of ethanol. It used by most cars, buses and trucks, which is an enormously economic approach to energy. Ethanol is cheaper than fossil fuels. It is less polluting and generates jobs in the sugar plantations and in the car industry. Around 70% of vehicles in Brazil run by ethanol or the mixture of ethanol and gasoline, which we called flex cars. We only wish we could cooperate with Indonesia in this sector for energy security. FI: Could you elaborate more on the energy security cooperation? PS: We changed our energy matrix long ago, instead of only using the traditional fossil fuel, at the pump station we mostly use ethanol. From my point of view Indonesia should urgently do this and implement it, instead of having all the troubles with the fuel subsidies. The Indonesian government spent around $22 billion of subsidies last year. Don’t get me wrong; the place for planting the sugar is in a place where it is not interfering with the forest. Sugarcane cannot be planted in the Amazon area because it’s too damp. Just to tell you that we could exchange lots of technologic know-how such as the exchange of the genetic code of sugar cane for instance. The exchange could provide very positive results and could be beneficial for both countries in the area of agriculture. While in the area of environment security such as biodiversity and biomedicine, we use satellite surveys to control forest degradation. Controlling forest degradation is something that Brazil has been doing to preserve the forest, but I have to remind you that preservation doesn’t mean you can’t exploit the natural resources. You can exploit the forest but of course in a sustainable way. That’s one of the reason we are holding a G20 plus meeting on sustainable development. FI: Poverty is another problem that both countries face, how has Brazil dealt with it? PS: You should analyze the whole framework of actions not only for food security and environment but also socioeconomic issues such as poverty eradication. We have a program in Brazil, which is called the Zero Hunger program and was launched by former President Lula in January 2003. It’s a federal government strategy to ensure our people get adequate food by improving access for the poor to get them sufficient food and nutrition. The government distributes food cards to the poorest families, provides school meals, and gives emergency feeding. In other areas, we are strengthening local agriculture by financing small-scale farming or giving credit to families so they can buy agriculture products to boost small-scale farming. Just like in Indonesia, we distribute financial support to poor families, but the government allows them to send their kids to school. We also addresses land reform, which we think the structural cause of food security. As a millennium development goal target, we have succeeded in achieving the first target, getting 19.4 million people out of extreme poverty. This achievement means poor people with income below $2 a day drops to 10% [of the population] and those below $1.25 drops to 4%. Instead, the extreme poor saw their income rise by 49%, and increasing their income will encourage them to become consumers. Lula’s goal may not yet met, but rapid progress towards ending chronic hunger and malnutrition has been achieved. Therefore, in June 2011 President Dilma Rousseff launched another program: “Brazil Without Misery.” It is focused on the 16 million who still live in extreme poverty. So the problems of Brazil are very similar to the issues of Indonesia. You have to care for the population, create jobs, improve education, safeguard health, and improve the infrastructure of communities. Little by little, the middle class grows. Brazil’s middle class is expanding those who were very poor are less poor today. To do this requires the engagement of both the public and the private sectors. This has all happened in the last 15 years. [The joke was that] Brazil was a country of the future [and always would be] but now we are a country of the present. FI: What about cooperation in trade? PS: We can be great partner in trade, with trade between Indonesia and Brazil is expected to hit $4 billion by the end of this year. Trade Minister Gita Wirjawan believes we can multiple that figure ten times within a few years. The potential market is so big, so within the next few years if you do your homework properly and really engage in this strategic partnership we have the potential to make this trade figure into $30-40 billion, as we do with China, and Indonesia does with China. It’s a matter of getting to know each other, more engagement and putting the strategic partnership into practice. For this you need the engagement of the government, the private sector, and others to be able to exchange investment, cooperation and technology—we should do much more than what we’ve been doing in the past. We have the technology today to act more independently and more directly without third-party intermediaries. It’s a question of political will and political leadership to be engaged in a program to reach a very ambitious number in trade and investment. FI: Some Brazilian companies are already investing here. What do you see in the future? PS: Yes, in the mining sector the world’s biggest iron-ore producer, Vale, is a Brazilian company that is deeply involved in Sulawesi for nickel extraction with a huge investment, right now above $2 billion and is growing. Vale is convinced that this is an important market for mining. In ASEAN Latin Business Forum 2012 in July, the Federation of the Industries of the State of São Paulo signed an MOU with PT Aneka Tambang to also cooperate in the nickel industry. There are other Brazilian companies such as in the transportation business interested to invest here. FI: Some might say Brazil has the advantage of geography, as one landmass, while Indonesia is spread out over 17,000 islands. What is the role of geography? PS: That’s nature, what can you do. That’s why the different regions have to be united—right now, everyone is scattered, with the regional governments thinking differently from the central government. This makes coordination more difficult. Politically it is important to have coordination, you might not agree, but at least coordinate for the benefit of the country. In Brazil the opposition party, the government party and also the coalition party, all of them coordinate with each other. Coordination is the key. FI: One of the problems here is land acquisition and land reform, what could be done about that? PS: Yes, that’s true. We have done land reform in Brazil. Land reform is the Indonesia government’s internal issue, but we can use Brazil as an example, we can share our experiences on how to implement agrarian reform as we have been doing in Brazil. * This story appears in the August 2012 issue of Forbes Indonesia. This entry was posted in Ideas, People, Publications and tagged Ambassador, ASEAN, beef exporter, Brazil, coffee producer, energy security, ethanol, food security, football, Paulo Soares, poverty, sugarcane, trade by Pudji Lestari. Bookmark the permalink.